​Mauro Icardi has posted a picture of himself receiving treatment on social media, after a chaotic couple of days saw him stripped of the Inter captaincy and subsequently snub a call up to the travelling squad for the side's clash with Rapid Wien. The number nine was strIpped of his leadership role after his drawn-out contract extension talks caused a rift in relations, and veteran goalkeeper Samir Handanovic was handed the armband instead. 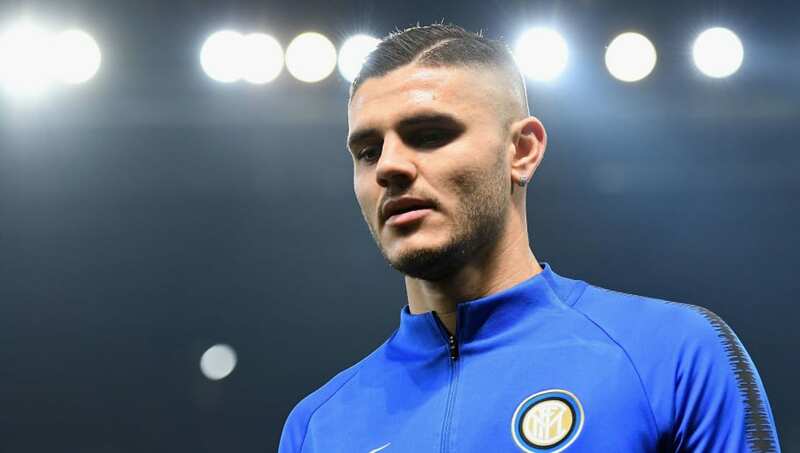 However, Icardi didn't take too kindly to this series of events and promptly refused to travel with the rest of the squad to Vienna for their Europa League first leg, despite a call up from Luciano Spalletti. On Thursday morning, there were various reports detailing that the Argentine had turned up to the Milanese training ground, but only to undergo physiotherapy for an ankle issue that could be set to rule him out for this weekend's ​Serie A match with Sampdoria. And the 25-year-old confirmed this treatment on his official Instagram story, with a picture of himself being treated at the training ground alongside the caption "Therapy time, Day one" with a "fisioterapia" gif and a date stamp of 11:11. ​Icardi's younger compatriot Lautaro Martinez, fresh from scoring the winning goal against Parma last weekend, is expected to start the European clash in his stead, and Spalletti was confident the 21-year-old could deliver the goods. As quoted by the club's official twitter account on Wednesday, he affirmed: "We'll see Lautaro tomorrow, a striker who's just as strong and who already proved this on Sunday. From him, like all of the rest, we expect the same kind of contribution as always." It remains to be seen how long ​Inter's erstwhile captain will be sidelined for, but it is likely Martinez will start against Sampdoria as well.